Financial Peace University begins soon! We all need a plan for our money. Financial Peace University (FPU) is that plan! It teaches God’s ways of handling money. Through video teaching, class discussions and interactive small group activities, FPU presents biblical, practical steps to get from where you are to where you’ve dreamed you could be. This plan will show you how to get rid of debt, manage your money, spend and save wisely, and much more! FPU classes meet for around an hour and a half each week for nine weeks. You are invited to join us for a special Sunday on September 30th with Eric Hovind and Gary Murray from Creation Today! Creation Today seeks to impact individuals to know and defend our faith in Creator God and to wholeheartedly experience and share Him through the foundations of Scripture. As a leading, international Christian-apologetics ministry desiring to spread the Gospel of Jesus Christ to the entire world, Creation Today is committed to excellence, producing some of the most requested resources available on creation, apologetics, and evangelism. Join us for the FREE Movie event! See Genesis: Paradise Lost at 4:00 PM on 9/30 for free at the Roxy Theater in Dickson, TN. Financial Peace University is a nine-lesson money class that teaches step-by-step how to create a budget, pay off debt, spend wisely, and save for the future. Join us every Thursday from September 7 to October 19 at 6:30pm as we learn how the enemy always fails when he meets a woman dressed for the occasion. All day, every day, an invisible war rages around you — unseen, unheard, yet felt throughout every aspect of your life. A devoted, devilish enemy seeks to wreak havoc on everything that matters to you: your heart, your mind, your marriage, your children, your relationships, your resilience, your dreams, your destiny. But his battle plan depends on catching you unaware and unarmed. If you’re tired of being pushed around and caught with your guard down, this study is for you. The Armor of God, more than merely a biblical description of the believer’s inventory, is an action plan for putting it on and developing a personalized strategy to secure victory. Join us this October 30th at 8:30AM and 11AM for a special service with our guest, Dr. David Bouler. 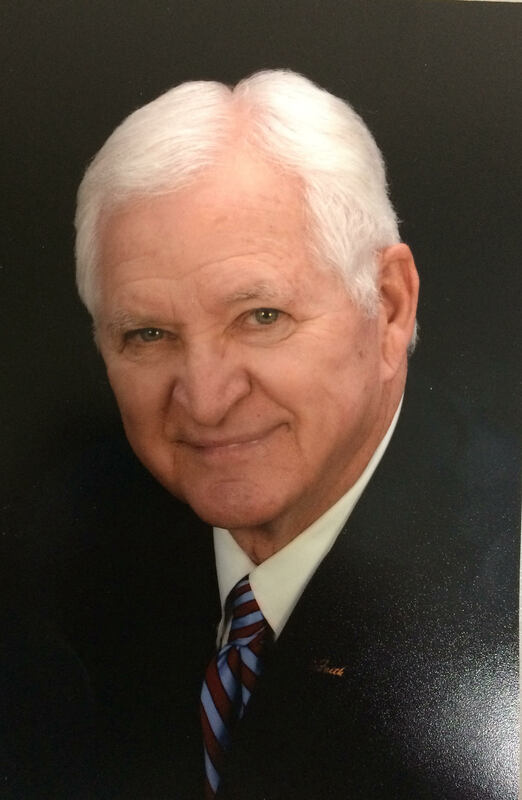 Dr. Bouler is the retired pastor of Highland Park Baptist Church and former president of Tennessee Temple University. He studied at Luther Rice Seminary and Trinity Theological Seminary. He is also the current director of Global Faith Ministries, a ministry of encouraging the local church through Bible Conferences, Revivals, and Leadership training. He was born in Mobile, Alabama and the oldest of four boys in his family. After graduation from Murphy High School in 1964, he joined the US Marines and served four years, with one year in Vietnam. After his service in the Marines, he attended the University of Montevala. He felt God’s call to the ministry and transferred to Asbury College in Wilmore, Kentucky, where he graduated with a B.A. in Bible and Pastoral Studies. He met his wife Sue at Asbury and returned to Alabama, the city of Montgomery, where he pastored for more than 20 years, establishing the largest and fastest growing Independent Baptist Church in the state. Their children, Stephanie, Eric, and Gordie, all grew up in Montgomery. Dr. and Mrs. Bouler are now the proud grandparents of six! Join us for our Annual Homecoming Service on Sunday, September 13 at 8:30/11:00 AM! We will have special music, a sermon and a fellowship meal at 12 Noon. We invite you all to worship and fellowship with us on this special day. Invite a friend! Join us for our Annual Homecoming Service on Sunday, September 14 at 8:30/11:00 AM! We will have special music, a sermon from guest speaker Owen Held, and a fellowship meal at 12 Noon. We invite you all to worship and fellowship with us on this special day. Invite a friend! Hosted right here in South Cheatham County, Dave Ramsey’s Financial Peace University and, for the first time ever, his brand new The Legacy Journey. Financial Peace University (FPU) is a 9 week class that will show you how to get rid of debt, manage your money, spend and save wisely, and much more! The Legacy Journey is an all-new, 7 week, biblically based class that teaches you how to truly live and leave a legacy for generations to come. This class will lead you deeper into investments, basic estate planning, purposeful living, safeguarding your legacy, and the keys to generational wealth and true generosity. Classes meet weekly on Thursday from 6:30 – 8:00 PM at Harpeth Baptist Church in Kingston Springs. Register soon, class begins January 16, 2014. For more information visit DaveRamsey.com or call 615-378-1136. Free Preview Night, January 9 at 6:30 PM! We hope you will join us! the night with the Hanging of the Greens ceremony including: scripture readings, Christmas hymn singing, and placing the Christmas decorations in the church. Next we will gather in the fellowship hall for punch and Christmas cookies while we decorate the Christmas tree and sing carols! If you would like to participate in the service please arrive by 5:40 PM on Sunday. We would like for each family to place an ornament on the Christmas Tree so please bring one with you. The Harpeth Baptist Church youth group meets Wednesdays at 7:00 PM. It’s that time of year again!! Pioneer Clubs will begin meeting at Harpeth Baptist Church on Wednesday Night, September 5th. Adonijah is making a play for David’s throne. We are told a few important things about him: He exalted himself–so not chosen to be King. He is the younger brother of Absalom. He is good looking. David didn’t discourage him from trying. This could be due to David’s age and health, or David could be quietly in support. Joab helps Adonijah. Joab has always backed King David. Why would he turn against him now? He possibly feels that a new King is in order. Others stick with King David, v.8. Mainly Nathan and David’s mighty men. It would be easy to be David and be discouraged that Joab left your side. However, he still has a good following. So it is in life. Sometimes things don’t go our way. Try not to focus on what doesn’t go your way. Focus on what is going your way. Sometimes people hurt us. Rather than focus on the hurt, focus on those who love us. Many times we can’t have the things we want. Focus on the things we have instead. They will become so much more valuable. Focus on what you can control rather than things you cannot! Although Joab had been loyal to David all this time, he now sides with Adonijah. While I disagree with him, I can clearly see Joab’s point. He wants the Kingdom to continue. In fact he is so loyal to David he feels supporting the new king shows it. In his mentality, supporting the new young excited man secures the Kingdom for David & family. But all the while, to you and I, his loyalty has ceased. Loyalty runs out. You may have friends now that won’t be your friends later in life. Things change, people change. The key is to be able to understand their point of view and not take it as a personal attack. Joab was thinking of himself. He felt that supporting the new King secured his future better than supporting the old King. He threw years of service and loyalty out the door by worrying about what might happen next! People will think of themselves. No matter how loving a person may seem, “I” is still #1. We can’t help it, we can’t get around it. It is important that we know & realize that loyalty runs out. Luke 14:11 For whosoever exalteth himself shall be abased; and he that humbleth himself shall be exalted. See Luke 14:7-11. It is always better to choose the worse and be awarded the better, than to choose the best and end up with the worst. If expecting the worse, the better seems great! If expecting the best, the worst is somehow even worse. David is near the end of his life. His health is failing and he is cold. His helpers cannot keep him warm so they bring in a young lady to lay with him. This is nothing sexual (4b), her body heat will radiate and warm the old king. In these times do what only a Christian can do. Minister. Only a Christian can truly minister to others. Sure anyone can serve. But, only someone who has experienced the Love of Christ can share it. This is the help that is really needed. Not to say that Abishag was/was not a follower of God. But, the application works for us now. Cherish the King. Abishag cherished the one she served. She may not have liked the situation, but she didn’t mind the company. Today’s Christian can also Cherish the king! When you have to do things you don’t want to do: Do what only a Christian can and during this time Cherish your King! Enjoy His company. When the time comes and you can no longer go it alone, trust those who want to help and allow them to do so. Be thankful for those who will help. When faced with a difficult task, do it for the glory of God! Sometimes in life we’ll have to do unpleasant things. Abishag may have been different than most pretty young ladies, but I imagine this was not her first career choice. She didn’t apply for this job. They sought for someone throughout all the coasts. In fact the passage says they, “Brought her…” I “GO” to Krispy Kreme willingly because I want to eat their doughnuts. I am “Brought” to the dentist because I don’t want to go otherwise! She was a fair maiden. I interpret fair as: pretty, good looking, not ugly, able to attract a man to marry. I interpret maiden as: full of youth but old enough to go out on her own to marry/work. Sometimes in life we’ll have to do things we don’t want to do. She may or may not have wanted to do this, my guess is she had little choice. If you are going to have to anyway, might as well make the best of it. Although I don’t want to go to the Dentist, I try to make the best of it. I floss, brush, rinse regularly to make the experience as easy as possible. As a child I didn’t always want to do my chores. I learned quickly that there were two ways to handle this. I could just do what was expected of me or I could try to avoid it, get into trouble, and end up doing my chores anyway. Keep watch for the 4th part of this 4 part post: Do what only a Christian can. Be thankful for those who will think toward your good. David’s servants couldn’t keep him warm with clothes, so they devised a way for their King to stay warm. Had David mistreated them early on in his life, they may not have cared so much now that he needs help. Be thankful for those who will think toward your good. Keep watch for the 3rd part of this 4 part post: When Life Gives You Lemons. There will come a time when you can’t do it yourself. What do you see when you think of King David? I think of youth, a strong warrior, a giant killer. This is not the same man we see described in verse 1. David is now described as old. At best this means older than the author’s point of view. He is also said to be stricken in years. What exactly does this mean? Is stricken worse than old? Stricken…living longer than…old. Poor David! Finally, the King is spending days in bed. While David is still very valuable to God, Israel, and his family, he has reached a time of life where he needs help. At different times in life we all get here. For instance, while once an athlete, I can’t just go run anymore. If I do I struggle moving the next day! Now, I have to stretch a certain way. I need an iPhone app to keep me on pace. My muscles require extra vitamins and possibly medication. For David, this was a time when he would need to be King in a BIG way, but he couldn’t do it himself. Keep watch for the 2nd part of this 4 part post: Be Thankful for those who Help. Currently on Wednesday Nights at Harpeth Baptist we are spending time looking at 1 Kings. 1 Kings is filled with historical narratives that illustrate people’s actions and God’s processes in regards to people’s actions. With this in mind each week we take a sequential look at a cluster of verses and make modern application for today’s Christian. This is not a verse by verse study of the book, rather a brief look at the story with more focus on the application that can be made. So far, it has been an exciting and interesting time. We invite you to join us at 7:00 PM each Wednesday night. Child Care is available. In this day and age, it’s vital that we teach our children that the Bible is more than just a dusty book of stories. We need to show them God’s Word connects to every area of our lives and is as relevant today as it was thousands of years ago. Grab your ticket and a bucket of popcorn and join us for an amazing time at IncrediWorld Amazement Park! We’ll learn about our Creator and Redeemer as we take a thrill ride through God’s creation! In one of your hands is technology that taps into an almost instant world of information. With your phone, you already know the amazing collection of data and communication. You can talk to someone on the other side of the globe. You can track things, get instant answers. It is one of your prime tools already. You now bear witness to it. Your hand possesses the fulfillment of that verse. The Bible is an infinite adventure book and I encourage your other hand to use it. And as you proceed perhaps one starry night, maybe you will gaze into the starry clear sky and see the Southern Cross and be drawn to the cross of that Bible as you walk in a world of exploding technology and as your understanding increases. You are in a world told to Daniel from Daniel 12: 4 “….many shall run to and fro, and knowledge shall be increased.” You are into breakthroughs of travel (people going to and fro) and knowledge explosions that are at your fingertips. Use it and look to The One that gave it to you. Put your technology into one hand and you already do that. And you will have to update that over time. In your other hand needs to be The Bible and since it is eternal, it won’t need an update. Never before in our nation’s history is evidence of our Creator’s hand more visible. You are on life’s adventure. Redeem the time.